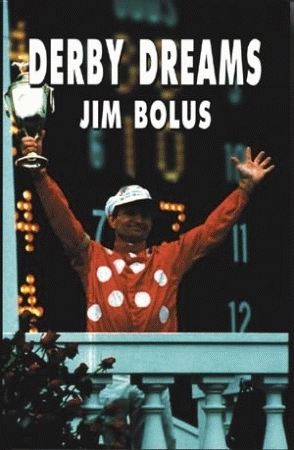 “People in racing have to be dreamers”, says Jim Bolus in the beginning of his fourth chronicle of the Kentucky Derby. The Derby itself has been dreamlike in its history. After nearly fading into oblivion at the turn of the century, the Kentucky Derby has grown into a national cultural institution and the premier annual horse race in America, if not the world. The stories about this great race and its participants have grown through the years. They have evolved into both heroic epics and much-maligned tragedies. The author relates the triumphant tale of Regret, the first filly to win the Derby on what was her very first start of the year. He also tells of Riley, who, in spite of a muddy track, won the first Kentucky Derby held in the rain. The late Jim Bolus, who attended his 37th Kentucky Derby in 1996, hadn’t missed the race in more than 20 years. Dubbed a “Doctor of Derbyology” by one newspaper reporter, Bolus also wrote Derby Fever, Remembering the Derby, Kentucky Derby Stories, and Derby Magic, all published by Pelican.